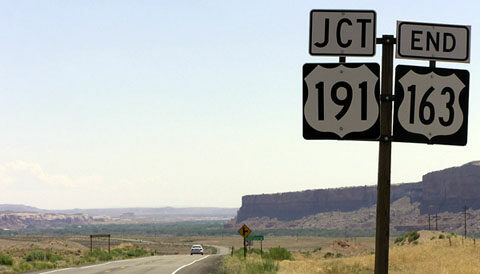 *Note: both AASHTO and UDoT ​still officially ​list Crescent Jct. 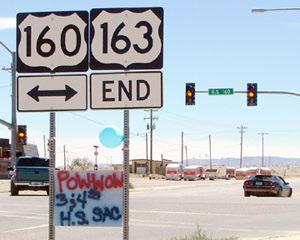 as the northern terminus of US 163. 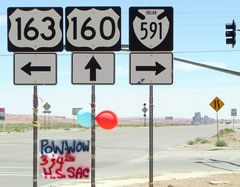 However, UDoT has not signposted it that way since 1983. Visible in the background of that second photo is the prominence known as Agathla Peak. 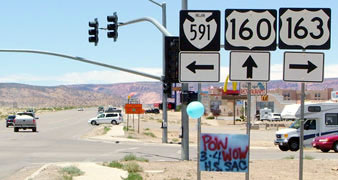 From that junction, it is about 20 miles to the Utah line, and then another 41 miles to the junction near Bluff where US 163 signage ends. 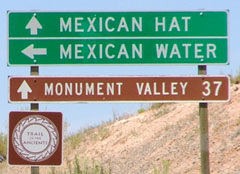 But does the route actually end there? 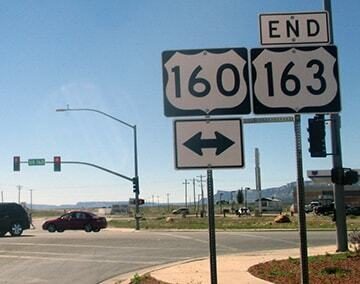 Spoiler alert: there are not many endpoints that are more difficult to determine than the north terminus of US 163. 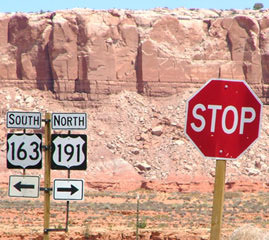 But there is more to consider: Utah's legislated routes do not account for overlaps. 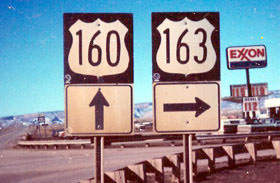 As of 2015, UDoT's list of concurrent routes still showed US 163 overlapping US 191 up to Crescent. 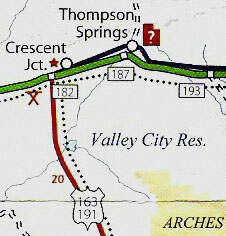 And get this: the very same 2016 document shown above contradicts itself: the last entry states that US 163 overlaps US 191 to Crescent! 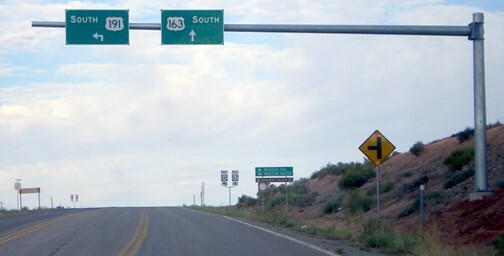 It is perplexing to imagine what prompted that change on the map... and also why UDoT insists on making what should be a simple thing so complicated. 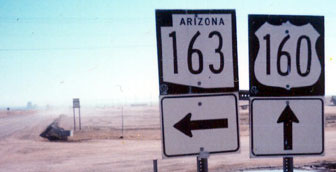 Incidentally, the original US 163 in Iowa was a legitimately-numbered branch of US 63.
last updated Dec. 2, 2018.